Neuroscience Sheds New Light on Creativity – Rewiring the Creative Mind | Fast Company – StumbleUpon. sè jí shì kōng, kōng jí shì sè. shòu xiǎng xíng shí, yì fù rú shì. wú wú míng, yì wú wú míng jìn, nǎi zhì wú lǎo sǐ, yì wú lǎo sǐ jìn. wú kǔ jí miè dào, wú zhì yì wú dé, yǐ wú suǒ dé gù. wú yǒu kǒng bù, yuǎn lí diān dǎo mèng xiǎng, jiū jìng niè pān. sān shì zhū fó, yī bō rě bō luó mì duō gù, dé ā nuò duō luó sān miǎo sān pú tí. shì wú shàng zhòu, shì wú děng děng zhòu. néng chú yī qiē kǔ, zhēn shí bù xū. When the holy Bodhisattva Avalokitesvara had truly grasped the transcendent wisdom, he realized that visible form is only illusion. The same applies to its perception, to its names and categories, to discriminative intellect and finally even to our consciousness. They are all illusion. With this realizaton he was beyond all sorrow and bitterness. Disciple Sariputra! The material is not different from the immaterial. The immaterial and the material are in fact one and the same thing. The same applies to perception, concepts, discriminative thinking and consciousness. They are neither existing nor not existing. 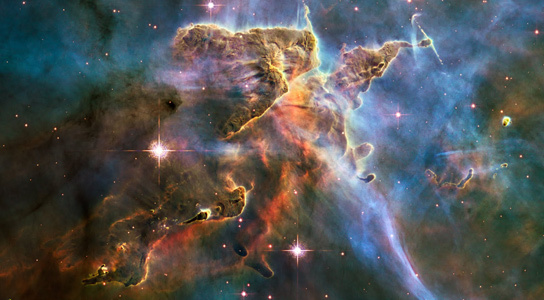 Astronomers have combined hundreds of images, including ones in the infrared spectrum, to provide the most detailed view of the Carina Nebula, a stellar nursery located about 7,500 light-years from Sol. 3hInbox zero. Such a beautiful thing. 10hFunny how this happens after I walk the dog. 10hSpike has been farting my way all night. Doggie, you need to turn your bum around. Now. Actually, I did it for you. Rescued dog bites TV anchor during broadcast. The concept of time and the measurement, by humankind, of its passing, have been present on this planet for millennia. For as long as this has been so, (and perhaps even before then) there have come among us, at various intervals, those persons whose lives have been so exemplary that they have blessed and changed the lives of those around them to such a degree that their ideas and ideals continued, in a positive way, to affect the lives of others long after they had left this mortal shell behind and gone on to higher realms. The names of many such persons have long been lost in the mists of time as the Ages have rolled by. More recently, the names of some have been remembered, repeated by word of mouth, then later written down, century after century, to the present day. Further along, I will mention just a few. Depending upon the culture and traditions under which one has lived, the names and times of those special persons may differ, but many of the stories, I suspect, are similar to one degree or another. The author has lived under western tradition with rather strong Judeo-Christian influence in the upbringing process. The focus in that area therefore, should not be surprising. A life under other traditions would likely have brought forth the names of different personalities as examples of the above, but the concept would be the same and some of the stories perhaps even somewhat similar. Each human person is born with the “seed” (for lack of a better word) of the Universal Christ within themselves. To what degree that seed begins even to germinate within a person, much less completes that process and begins to grow toward maturity, depends upon the decisions made by that person within their lifetime, and by decisions made by that personality in previous incarnations, the sum total of which constitutes the previous preparation and the potential for growth, of the individual person being considered. A very small number of those persons, because of many right decisions over many lifetimes, are born with the potential in a particular lifetime to experience the growth of the Universal Christ within them to such a degree, that they actually experience a Oneness with the manifestation of the then fully mature, Universal Christ Spirit within themselves. They experience Christhood, or become Christed. This is an extremely difficult Path for someone to follow in their life to the degree necessary to experience such a manifestation of Christhood. As you might imagine, there have been exceedingly few who have had such a blessing. This author does not pretend to know all their names. It can be said however, that among those have been Zoroaster, Moses, Buddha and Jesus, to name just some of those select few. There are, without question, many people today who feel that it is impossible to attain such a high Spiritual State in our modern times. If you have access to a Judeo-Christian Bible however, you will be able to see otherwise. The Universal Christ Spirit, who had created a state of Oneness with the Master Jesus (who was, therefore, the Christ), taught that greater things than those which had been done, would be done. This is stated in the Judeo-Christian Bible, the Book of John 14:12, and its meaning is: that which the Master Jesus had attained (and even greater things), others could, and would attain also. It would be worthwhile to state here that contrary to the understanding of many followers of Christianity, this does not exclude Christhood. Most people who have read that Biblical verse, don’t realize that such things are still possible today. It must be stated however, that prior to the most recent thirty year period, only one person among those who received this very special blessing of Christhood was actually born into a state of Oneness with the fully mature Universal Christ Spirit. The Master Jesus was the first person who became One with the mature Universal Christ Spirit at the moment of birth. All of those who lived before the Master Jesus, had attained that state of Oneness at some later point in their lives when they became worthy and ready to receive that blessing. Now, once again, the consciousness and understanding of humankind has been raised sufficiently and the need is such, that the Earth is ready for another of God’s Messengers to come and once again unveil and reveal to us yet another, even higher level of truth that will help to bring us to yet another higher level of understanding of God’s Universe. This Person’s Message will not be for the Jews or for the Arabs or for the North or South Americans or for the Africans or the Europeans; it will be for ALL of them and for ALL their people; it will be for ALL the World. For that purpose, there is now another who has, like the Master Jesus, been in a state of complete Oneness with the Universal Christ Spirit since the moment of birth. That Person’s name or place of residence, or when the Work that will be done by that Person will begin in earnest, I do not know, nor does any other living person, with the possible exception of the two parents of the Person, who may know that their child is the Christ, but even that is not certain. This person is One with the Universal Christ Spirit, just as the Beloved Master Jesus was in His time. Furthermore, just as the Beloved Master Jesus was the Master for the Piscean Age, this Person, who is alive, growing, maturing and preparing on our planet today, is the Master for the Aquarian Age. When this Person’s Ministry, or Work begins in earnest, that Work will include laying the Spiritual Foundation for future humankind. When that Work is done, this Master for the Aquarian Age will then leave us and Those who are so chosen, will remain here for a time to build upon that Spiritual Foundation that has been laid down. This will allow humankind, in the years following, to continue on the Path away from the materialism of today and back to a far greater sense of love and brotherhood and sisterhood; even more importantly, to stay on the Path back to God, the Father of all things. As it was in the time of the Master Jesus, those who will not recognize this Avatar as the Universal Christ, those who will persecute and despise the Master most, will be those among the most “religious” of our day. Those persons who expect the return of the man Jesus, rather than the return of the Universal Christ Spirit, who once again, as it was with the Master Jesus, has come with the birth of a human child, and in a state of Oneness with the Spirit of that Child, just as it was done before, and just as it will be done again, at least one additional time in the future. Sadly, even if the man Jesus were to return today to this Earth, neither would those same people recognize Him, and so would they therefore persecute and despise Him again today as others like them did almost two thousand years ago. Perhaps these doubters need to see a bright Halo around the top of His head to show them a “sign” before they will believe, but such a Halo is not visible to normal physical eyesight. If it were, they certainly would not have crucified the Master Jesus when they did because there would have been no doubt to all who saw Him that He was a very special Man. Such a Halo, however, is visible only to “Those who have eyes to see” and so therefore will a great many of the most “religious” of the day fail to recognize the presence of the Beloved Universal Christ Spirit… yet again! The Beloved Master Jesus has completed His Work upon our planet. He first served as the Master of the Piscean Age, the Man whose Spirit was One with the Universal Christ Spirit. He then has acted in a Spiritual capacity for approximately the last two thousand years as our Planetary Logos. The man Jesus (who was One with the Universal Christ; and who therefore, was the Christ, as stated earlier) has no need to return to this Earth in physical form. 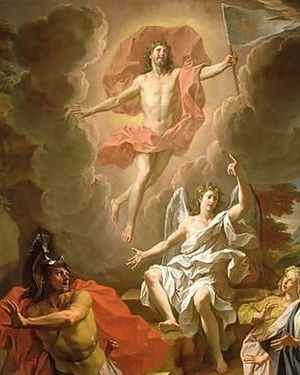 When it was spoken that He would return, the He of whom it was being spoken was the Universal Christ Spirit Who, in a state of Oneness with the Spirit of the man Jesus, occupied that Body at that time. It was the return of the Universal Christ Spirit that was being spoken of then, not the return of the man Jesus (for additional emphasis, let me re-state that because Jesus was One with the Universal Christ Spirit, this means that Jesus was the Christ ). When the Master of the Aquarian Age has completed all needed Work here in the physical body, That Person will then become our Planetary Logos and the Beloved Master Jesus will go on to become the Holy Solar Logos, the Spiritual Force behind our physical Sun in this Solar System. The Universal Christ Spirit is the Spiritual Force behind the Great Central Sun of God’s Universe. This is the way of such things. For some who read what has been written here, these words will seem to have no basis in truth and will be considered instead, as blasphemy. For a growing number of people around the world, however, what is written here makes perfect sense and some may even find, as they read, that these words, which are truth for them, strike a resonant chord within their being. It is for these latter that this has been written. It is for them and for others who may be somewhere in between in their thinking, and in their searching for answers that will somehow make sense to them, that these words have been written. It is for the entire Planet, however, that the Master of the Aquarian Age, the Universal Christ, has come, and it is for the entire Planet that this Master will work to lay the Spiritual Foundation for the future of our world and all of us who reside upon it. This Spiritual Foundation will then become the basis for the future of society for all of humankind on the planet Earth for more than a thousand years to come, and The Universal Christ… will once again be the Cornerstone. For the readers digestion and personal perception. The Fine-Material World (rupa-loka). Consists of sixteen realms whose inhabitants (the devas) experience extremely refined degrees of mental pleasure. These realms are accessible to those who have attained at least some level of jhana and who have thereby managed to (temporarily) suppress hatred and ill-will. They are said to possess extremely refined bodies of pure light. The highest of these realms, the Pure Abodes, are accessible only to those who have attained to “non-returning,” the third stage of Awakening. The Fine-Material World and the Immaterial World together constitute the “heavens” (sagga). The Sensuous World (kama-loka). Consists of eleven realms in which experience — both pleasurable and not — is dominated by the five senses. Seven of these realms are favorable destinations, and include our own human realm as well as several realms occupied by devas. The lowest realms are the four “bad” destinations, which include the animal and hell realms. (5) Human beings (manussa loka) You are here (for now). Rebirth as a human being is extraordinarily rare (SN 56.48). 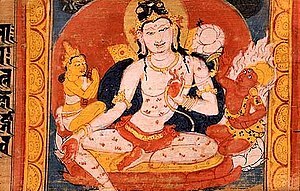 It is also extraordinarily precious, as its unique balance of pleasure and pain (SN 35.135) facilitates the development of virtue and wisdom to the degree necessary to set one free from the entire cycle of rebirths. · The development of virtue and wisdom (AN 10.177)· The attainment of stream-entry (sotapatti) guarantees that all future rebirths will be in the human or higher realms. (2) Animals (tiracchana yoni) This realm includes all the non-human forms of life that are visible to us under ordinary circumstances: animals, insects, fish, birds, worms, etc. · Ten unwholesome actions (MN 41)· Lack of virtue, holding to wrong views. If one is generous to monks and nuns, however, one may be reborn as an “ornamented” animal (i.e., a bird with bright plumage; a horse with attractive markings, etc. ; AN 10.177). This Access to Insight edition is ©2005–2012. How to cite this document (one suggested style): “The Thirty-one Planes of Existence”, edited by John T. Bullitt. Access to Insight, 22 November 2010, http://www.accesstoinsight.org/ptf/dhamma/sagga/loka.html . Retrieved on 5 February 2012. These papers are sent to you with the deepest desire that you may find the answers that allow you to ask the questions which bring you closer to personal peace and satisfaction in your life. There is no intent to destroy personal conviction: only hope that this will be examined. It is my prayer that your personal search will lead you to an understanding that compels you to share the love of your own heart. There are few amongst us, even if we have material security that is content with the teaching from our childhood. As a child, they served us well. As adults, of complex drives and emotions, we must begin as children again with an open heart and find the answers that will serve us now. May Heaven be yours through all enlightening Cosmic Consciousness? Today began with a question. Much to my surprise there was one I had failed to ask. As the answer came, one upon another question followed. Fortunately, these answers came also. The question for Purpose began my search. “Life has a purpose,” “We have a purpose,” “Cosmic Purpose.” One hears so many espousals of purpose. When does one hear purpose defined? Is there some embarrassment about having a profound statement with no profound definition? Looking at the trees, flowers, birds, streams, fields, and beasts, we have no problem with purpose. Cosmic Purpose, if you will, must en-compass all. That light within, of which every enlightened person has acknowledged, Jesus’ “Kingdom of God is within you,” Emerson’s “genius within yourself,” even Buddha’s “no-soul” must be of Cosmic origin. We can all conceive of a Cosmic Oneness whether we conceive a personal God or Creator. The “Creator” suggests a beginning, which in turn suggests a limited being. But in the concept of Cosmic Oneness there is no being capable of negatives as we may assign a personal God. No beginning, no end, what purpose then? The Cosmic Is. All nature, all of the natural laws, all the rhyme and reason in existence, all of us has that light within us. Nothing can exist outside of the Cosmic Oneness or Cosmic Knowledge, the knowledge of every cell of all nature. If Buddha had been understood by all cultures, more men may have understood Jesus–and so on up through civilization, as we know it today. Buddha stressed that the truth of men’s Nirvana was realization of selflessness. Jesus stressed that the Kingdom of God was within every man. This appears to be a contradiction, each, of the others teachings. But how so? Buddha lived before Jesus and Jesus probably studied the Buddha‘s teachings. Each was a Master beyond dispute. Could each have separate truths? Surely not. The fault was not with the Masters but with the students. Buddha taught that man’s own self-created a soul for his immortality. Jesus taught that the pleasures of this world lead men to selfishness. I suggest that both Masters knew the same truths-that to know God you must bypass the ego, the pride, the delusion of self to find the Cosmic Oneness that is in each of us. “Soul” must either be Devine or in need of “Saving.” It cannot be both. What mortal man would attempt to “Save” what is already Devine? My thought is to rid ourselves of a need to “Save our souls.” The soul being Devine in nature does not need evolving either. What mortal man would attempt through evolving, to improve upon the Devine? My choice is to rule out the use of the word “Soul.” Man has too many connotations of too many opposing positions for the word to mean much of anything universally. What then of Cosmic Knowledge within each of us? That Devine light of our wisdom that we are privilege to, but is not of our mortal being. Picture this next. I have passed thru transition (my physical body has died). There are others with me. Are we minute specks of Cosmic Knowledge floating independently until we must rejoin this-worldly life by the first breath of a newborn infant? Cosmic Knowledge is Cosmic Oneness and the idea of independent souls is incongruent. Ah. Yes. This spark of Divine must surely, at transition, be absorbed into the Cosmic Oneness. My own reason will not allow for the possibility of my select bit of evolved “Soul” to be picked out of Oneness and rejoined in an earthly body. Again, Cosmic Knowledge is Cosmic Oneness and independent souls are incongruent. Let us, also, conclude that pearly gates and streets of gold are purely allegorical. The whole concept of Reincarnation (repeated rebirth and evolving consciousness), Karma (punishment and reward according to deeds done), Soul (That which is Divine within us), Hell (the suffering and pains), Heaven (peace of mind through knowledge) must be applied to this life and only this. What purpose then, we physical bits of flesh with a spark of Divine within? What purpose trees, streams, birds, fields, flowers and beasts? Continuity. Cosmic Oneness – no beginning-no end continuity. The trees have no question of the cosmic yet they die and new ones replace them, The Cosmic Plan goes on. Trees have no means of escaping, yet do not question the Cosmic Knowledge when a forest fire approaches. Streams dry up and new ones spring-up and they question not by what plan man pollutes them. Birds may fly as man may not and still do not question man’s intelligence to control his own atmosphere. Man would appear to have been given the intelligence of the Cosmic to be allowed so much freedom. He may reason as is not done among the other species of the Divine Plan. What purpose man? Continuity. And by reason Responsibility. Evolution of the species would predict that man will soon destroy his own civilization of his own free will. The Cosmic goes on and will absorb all that was on loan, while man destroys. In man‘s desperation for immortality, with creation of his soul and trappings, he has managed to delude himself into the destruction of his only existence. Had we turned to the “Kingdom of God within” or attained “no-soul” or listened to “the genius within” there would have been no need to destroy a beautiful civilization that could have been. With an experience of Pure Love what need of nuclear arms, with an appreciation of basic material requirements, what greed for robbing the earth of precious minerals, polluting the air, streams and fields. Surely Hell is the darkness of our ignorance. What degrees of pleasure we derive from our perverse concept of soul. Our minds are saturated with misconceptions. By the analogy to follow let us put away the idea of our personal possession of a soul that assures our relationship to God and Heaven; let us put away the assumption that It belongs to us at all. Imagine that a smoke fills the room, not densely, not smothering, but merely a softly enveloping, comforting mist. Perhaps we breathe a soft scent and find it pleasant. Our experience is personal and ours alone. No one can interpret this for us and what we benefit is ours alone. At the same time that smoke is of one smoke, whether we are one, five or twenty individuals within the room. Each of us experiences the one smoke and makes of it what we will from our personal perception of it. Yet, it belongs to none but is of the one. If God, Cosmic Oneness, or Cosmic Knowledge is accepted as similar to the smoke, then how easy for us to understand brotherhood. If the One in me, the One in you, the One in him, the One in her is all the same, what is ours personally? Simply, our use of it. This Divine entity is complete and perfect, of course: the One Knowledge of all things past, present and future. What greater gift than the Divine Oneness for our personal use. Maybe we are more than a little greedy in wanting anything else. But all is considered in the Cosmic Plan. Pity us, if we had been given charge of that which is Divine and dominion thereof, as well as our control over this beautiful earth of God’s creation, complete with every pleasure and necessity. Pity us, if we had the power to corrupt and destroy the Divine as well as the material. Out of knowing the Cosmic Oneness within us, through what we call Cosmic Consciousness, we come to understand how we may love God above all else, as the only good and pure that is us. And also, we come to understand how we may love our enemies as well as our neighbors. All that is worth-while in any man is of the One. In this light, sin becomes a useless word. What need have we to judge, criticize, condemn, hate, cheat, kill, covet, malign, and so forth. Recently a friend went through serious surgery (serious as all such assaults upon our bodies and consciousness must be). All liked minded friends were asked to assist during this period, with whatever talents we might offer. Our friend is recovering quite satisfactorily and seems appreciative of all services offered and no doubt received during his comparatively helpless state in physical, conscious and subconscious ability. Upon learning of this condition necessitating surgery, the sadness was acknowledged that might be, if it were not successful. Having seen the light of this friend’s own understanding too recently to drink from his companionship, I sensed a great personal loss if this personality be taken from us, through death of this physical body, whether from disease or surgery. Now, that all is well, my friends, I must confess to have contributed nothing to the fact of his still being with us. Through Attunement now without offense, I will be able to record the explanation for this action that might otherwise appear to be cold indifference. And for sake of simplicity, “Friend” will be used rather than his name. May I doubt the Divine within Friend more than I question the Divine within myself? Is it not one-Divine Cosmic Oneness? How may I attempt to circumvent the Cosmic Plan? By what knowledge is Friend laid upon the operating table? Not by his personal decision, that was only in that he chose those odds as opposed to those of the disease. Not by the decision of the doctors; they only offer opinions. That life flowing through Friend’s body is of Divine decision. None other gives or takes away. This seems sufficient logic to the recorder, however, we humans have such compelling emotions; we need more. There is no more only our selfish questions and selfish motivations. Imagine that we had such power to determine Friend’s staying with us. What glorious destination may we have deprived him in the Cosmic Plan? The human in me sheds a tear at our mourning and our ignorance. If, indeed, Friend has shared in awareness of his own Divine Identity within, the cessation of earthly life can be no disappointment to him. Even allowing that, in that case, only offers more Hell of human ignorance. It is quite frightening on a mortal level to know we aspire to powers of which we understand so little responsibility in attaining. But as all Cosmic Knowledge provides for the continuity of its own Plan, man cannot elevate himself above the gods. All we may receive is Knowledge through the Cosmic Oneness. There, only, may we relieve our human suffering in the name of our fellow beings. Some men speak of a personal experience of God, wherein, Knowledge of nature, the universe, of all things is made known to them. The experience comes by Divine discretion through a vision of objective light. Perhaps, we can name this experience “illumination,” as the word light seems to be a key factor determining a rare occurrence of God revealing itself to man, ofttimes without request or preparation on the part of the beneficiary. Having no personal experience with “illumination” through light, I leave that discussion, for the moment, to those who understand its significance. When men must do, they light candles, they pray, they chant, they burn incense, they perform rituals, they meditate and so forth. When men must know, they attune. Only a totally sincere request for knowledge brings attunement. No thought to be doing, no thought of self, nothing but pure desire for Truth may accomplish attunement. Attunement may be considered either a gift of or a result of Cosmic Consciousness (often confused with illumination). Through our desire for Truth we come to know that all Truth is Knowledge. By way of the Cosmic Oneness that pervades all beings we have access to Cosmic Knowledge and come full circle through attunement. Attunement is merely the occasion that we turn aside from the mundane world and focus on the Cosmic Oneness within. All Heaven is within us; when we have need, we may all seek it. Perhaps, the difficulty is in realizing that we need “It” rather than ourselves. As long as we do something and continue trying, that Knowledge within is forgotten or at worse discovered. Personal experience has shown that many paranormal happenings seem quite normal though usually not experienced by everyone. It doesn’t occur to me that the Divine within would be limited to objective reason. Perhaps, one’s own definition limits where one allows their “God” to exist and of what “He” is capable. A Paranormal experience, whether it be telepathy, psycho kinetics, clairvoyance or of a visual, auditory or physical nature or anything else in its wide realm, should not be confused with attunement. Due to the simplicity of the process, it is easy to comprehend why many never attain attunement. Most cannot form a request for knowledge purely for knowledge only. Through the privilege of Cosmic Consciousness, we may become objectively conscious of the Cosmic Knowledge already within. For example: If an event or happening concerns me deeply, what use is attunement, if only questions are answered. The question cannot be “Why me?” or the plea cannot be “Make this go away.” But one may, with guaranty, ask for Cosmic Knowledge which in turn brings peace of mind through understanding. What greater answer do we require? There is so subtle a distinction here with motivation, that this writer must regularly put away the desire to inform his readers; ask sincerely for that knowledge, then in turn record after the attunement has been successful. As I walked through the garden this morning, it was my desire to be filled with the beauty and awe of all God’s creations that were represented there in their natural state. Of course, this was possible. And of the man-made paths beneath my feet, was not offensive. What glory, what love that we overlook on our usual path to “riches”. What stupidity. It has come to my attention this morning that all that is necessary for Heaven, Peace and Happiness, has already been said. The further writings will only be elaborations, for the purpose of putting away centuries of accumulated words. Words clog our brains, distract our hearts and continually delude us. Words seldom express our knowledge or our feelings. It is enigmatic that I must write so many more words in order to rid us of this clutter. How many writers have tried to express their heart’s deepest thoughts and failed because of the dependency on and confusion of all these useless words. May I not sound redundant, but we were given The Word, which is ever useful, ever clear, and everlasting. So, therefore, through the light of my own Cosmic Consciousness, there is no question that my Purpose will be accomplished. Let there be an end to the words that prevent the children seeing the kingdom of God. Let there be an end to all the institutions that use mighty words of guilt and sin that prevent man knowing the God within. These papers cannot be another interpretation of scriptures or doctrines. The damage of the past efforts, in that respect, is evident in all the pain and suffering of the very supporters of the mistruths and stumbling blocks. Let us go into ourselves and know the Oneness and Truth that dwells there, that no chance is taken with mortal confusion. Clearly, it has all been said. Now is the time for man at his highest conscious development to put away the distractions and elaborations. Each one, within himself, to know and to love and to find that peace and happiness.